Just tried Spin and was pretty blown away by the experience and the polish. Video chat with 10 people, no sign up needed. 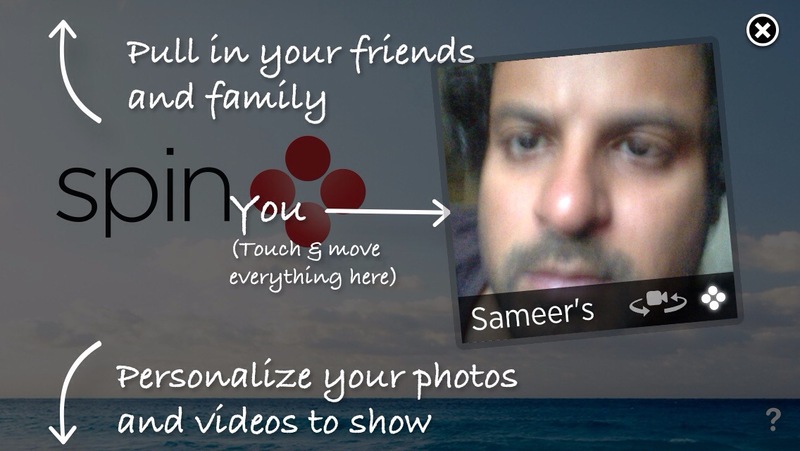 Watch videos together, annotate over live video, throw tomatoes, watch pictures and albums together etc. Quite the complete package. Pulling into Seattle on the big dolly that is the ferry renders some cool natural parallax video action. Back in the early 90s, when I was growing up, I thought I had all of Michael Jackson’s albums in my tape collection. I was surprised when I first saw this video on MTV India of the song “Leave me Alone”, as I had never heard this song before. The credits on the song attributed it to the album “Bad”, but my copy of that album didn’t have it. Back in India, before the age of the internet, I didn’t even know there could ever be a way to find out why my album didn’t have this song. This song tormented me as I would randomly catch it once a year on MTV or VH1. Many years later I found out that this was a single, released separately, and only on the CD version. And Wikipedia says that it was never released in the US either. It interesting to think about how this song stayed apt for him all these years leading to yesterday. Another lesser known song from one of his more recent albums where he lashed out at the media was “Tabloid Junkie”. There is no official video to that song but the following version by a fun comes very close to capturing the essence. A crane of the Metro project toppled over, falling on the road and crushed an auto-rickshaw killing two people on the spot. I was at the Bhavan’s A.H. Wadia High school, overlooking the complete crash site and had a clear view of the site. Part of the school compound wall was also broken by the crane’s tip.